The Kala Pradarshini Natya festival was conducted on 18th January and will go on till the 22nd January at Bharatiya Vidya Bhavan. 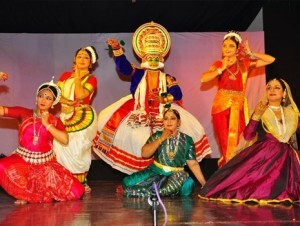 This year’s festival too has a lineup of prolific artists from Bharatnatyam, Kuchipudi and Mohiniattam. It’s a fitting platform for amateurs and a pleasant experience for the exponents.If it isn’t Ghantasala Samarpanam then it is the Natya Festival where Parvathi Ghantasala join hands with many beautiful and prolific artists to enthrall you with performances. So friends, this year She have a special treat for all of you. She completes 40 years of dancing and wants to share the joy and success with all of you. I am because of her associations. Parvathi says, I am elated that I have been able to bring you a wide range of artists right from the little ones to the senior most. I hope you enjoyed the show that I have organized. I hope to come back next year with more artists to light up the Natya Festival. Meanwhile I would hope to see more younger artists come to watch the seniors perform.